As we spare a thought for old recruitment practices - which by the way, worked wonders - social media has rapidly changed the dynamics of the recruitment game and disrupted the industry. Social media platforms such as LinkedIn and Facebook have fast proven themselves the Holy Grail for recruitment consultants. They have changed the way recruiters search for candidates, attract clients, and brand their agencies. Of course, by no means is this a new trend. Recruiters have already hoisted their sails to the social media wind. But in today’s ultra-competitive environment, where job seekers now rank social media and professional networks as their most useful job search source, embracing a range of social media means you're sailing to talented candidates or left dead in the water. With that in mind, here are the best social media recruitment strategies that recruiters are utilising right now. Consider LinkedIn the go-to social channel for recruiters. After all, LinkedIn is an immensely powerful sourcing tool and a way of networking, building strong connections, managing talent as well as forming candidate relationships. But not everyone uses the social media platform to its full potential. LinkedIn’s range of quality features suit the recruiter. It is one of the best social media platforms for digital advertising opportunities. It has interest-based filtering where users can join and participate in groups based on their field of study, skills they self-identify with, and career interests. It also has the largest global community of business professionals (more than half a billion) meaning the social platform is brimming with precisely the people you want to target. LinkedIn is rated the top social network for recruitment lead generation and makes it one of the best tools at a recruiter's disposal. Social Strategy Tip: Successful recruiters may have hundreds of connection requests. Be open to who they may lead you to and engage with passive candidates. The more active you are the more people will view your profile. Check who viewed your profile, it is a great opportunity to connect with them. Twitter’s 280-character limit may seem limiting at first, but that’s just half the challenge. The limit allows users to boil their message down to the absolute essentials, resulting in clear and direct social messaging. This works in recruitment’s favour. You can create concise pitches to potential candidates and companies, and be receptive to feedback. This is not a platform where you can splurge content and fritter away valuable character space with overlong messaging. It’s direct, and great for connecting with your desired demographic. As opposed to LinkedIn, which is broad in the sense that it’s a platform for entry-level and above, Twitter allows you to hone in on target audiences and thus streamline your search. Something that sets Twitter apart is its hashtags. They’re incredibly useful for recruiters, and marketing in general. With hashtags, you can start a debate and engage targeted members of your demographic. Furthermore, you can make it local. By hash-tagging your location, you can target a certain area of the UK and really make it specific. 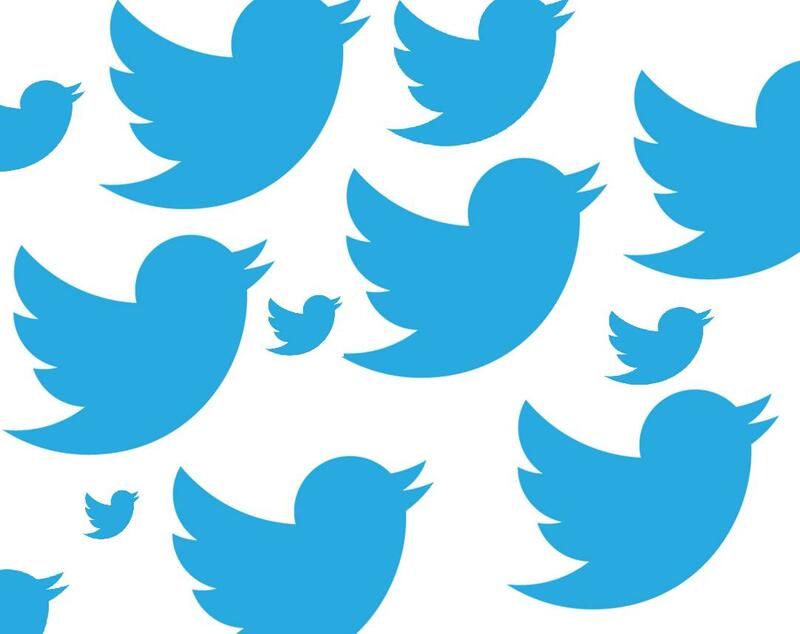 Exposure is the name of Twitter’s game, and if played right it can mean exponential growth for recruitment agencies in the UK. Social Strategy Tip: “Are you looking” and “do you know someone for this position?” tweets can annoy anyone. Mix up your content, tweet and retweet relevant and interesting industry articles. Start conversations and engage users on Twitter by simply asking questions about what they have posted. After all..they are people first, potential candidates second. A household name in the social media world, and the first ever platform for many, Facebook shouldn’t be underestimated - it holds lots of influence for the recruitment industry. This social platform is one of the best for recruitment agencies to reach their target market and audience. For example, a recent survey revealed that 81% of job seekers want to see job opportunities posted to Facebook career pages. When you consider that 84% of job seekers have a Facebook profile, the platform begins to be a must-have for recruiters. It spans a whole age range, across multiple sectors and skill sets and allows us to share content to relevant audiences. Recruitment agencies can also use Facebook to learn more about candidates, and gain insight into the kinds of content they share, like and appreciate. Using this insight, agencies can then get inspiration from that content, creating similar pieces to attract their target audience. This kind of intel can mean the difference between a successful social marketing campaign and...well, a flop. Social Strategy Tip: Make your job posts pop! Remember, you are competing against breaking news, liked pages, and of course the latest memes in your hire’s feed. To stand out, use video or an eye-popping image and inviting copy that is short, sweet, and to the point. Recruiters have the opportunity to get creative. If you are are not using YouTube to search for job candidates, you may be overlooking a wealth of resources on the world’s second most popular website. With one billion unique users every month, you’d place a fair bet that some of them are on a job search. With video content creating such a storm in digital marketing, you’ll want to ensure your recruitment agency cuts itself a slice of the pie. You can create engaging content with varying purpose. To create brand awareness for your agency, you could do a ‘meet the team’ video, or perhaps some ‘day in the life’ content. To attract candidates? The options are endless - from tutorial videos to Q&As. Job postings on YouTube can offer exciting content that’s a little different than the written stuff. Social Strategy Tip: Find better candidates with a successful recruitment video. A good starting point can be to focus on culture. Take a look at GoPro’s video. While they don’t say ‘Working for GoPro is fun’, the video shows that it is and speaks for itself. It has been proven that, a year after downloading WhatsApp 62% of users are still active on the platform. If that’s not brand loyalty, we don’t know what is. The WhatsApp community continues to thrive. By far, it’s one of the most popular direct messaging apps around today. What recruiters can do with WhatsApp is create WhatsApp groups where they can market out relevant jobs to members of that group...and wait for their response. It’s direct, and allows you to organise and segment candidates by profession, location and seniority. Like LinkedIn, WhatsApp also lets you see whether or not your message has been read. This means you have an instant indication as to whether or not your prospects are interested. If you’ve been left on ‘Read’, you’ll know you can move on. Boost your bonus. If you’re paying to boost your post on Facebook, the platform allows you to include a ‘Send WhatsApp Message’ Call to Action at the foot of your post. You can align this button with the WhatsApp number of whoever is managing a particular role, meaning candidates can inquire with just the click of a button. Social Strategy Tip: WhatsApp video calling has risen in popularity. Nail down busy candidates with a one-to-one video call. It’s more personal than a regular phone call and less time-consuming, which in the eyes of a recruiter is a win-win. For recruitment agencies looking to target a somewhat younger, perhaps millennial audience, Instagram is perfect. With 90% of Instagram users under 35, it poses a great opportunity to reach out to a younger demographic. Image-based content holds similar potential to that of video - you can use it for a wide range of insights, from staff images to inspirational quotes. The app can also be used to give users a taste of the agency as a whole, exposing themselves further to a waiting audience. Since images don’t have to necessarily be linked to the content of a particular post, there are no limits to the kinds of things you can post. Think about; promotions, job vacancies and industry developments. All are fair game where Instagram is concerned. 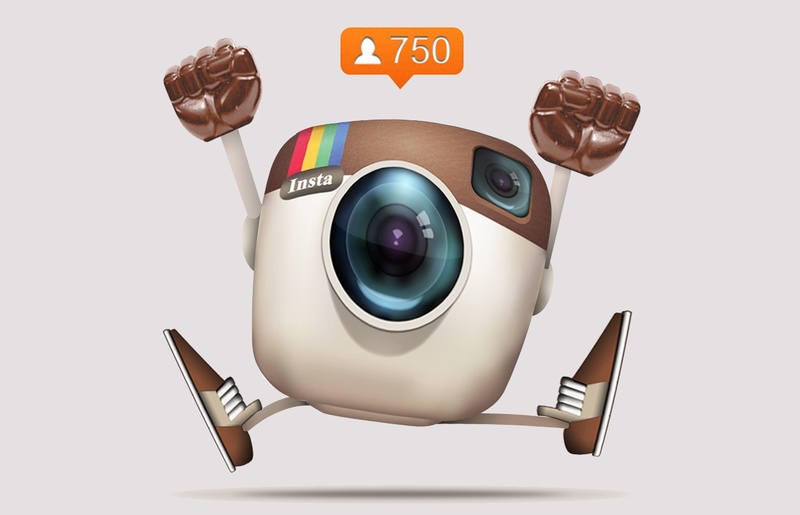 To summarise, if you’re looking to engage a younger audience then Instagram is your answer. Social Strategy Tip: Think about your target audience with each individual post and how it fits into their lifestyle. Do they check into Instagram on their lunch or on their commute home? Knowing when to post at the right time is key to driving maximum engagement with your post. In many ways, Google+ shares the same attributes as LinkedIn; a popular choice for recruiters. It serves as a platform to market content, interact with potential candidates, and join group discussions. The social site has some unique perks. Recruiters can organise their contacts into Google Circles. Here, users can share a range of content and information with different circles. A recruiter can share information about a technical role with a circle of software candidates rather than sharing it with every contact whom some may find irrelevant. Google+ provides an direct messaging and video conferencing between contacts with its Google Hangouts feature. To add, SEO and Google+ go hand in hand. Less active job seekers might opt for a Google search before reaching out to a recruiter. Connecting through Google+ could benefit your search engine optimization efforts and improve page rankings. finally, being an open platform, Google+ is constantly developing and easy to use. Its search options are free compared to other channels. Social Strategy Tip: Join as many Google communities as possible. Here you get access to the members list meaning more room for reaching out to potential candidates. If you’re not familiar with this social media app, perhaps now is the the time to get onboard. It is the live streaming application recruiters can fall in love with. It can be a valuable addition to your recruitment social media strategy, especially if you are targeting a younger demographic. Consider short uploaded video clips as a thing of the past because Periscope’s live broadcasting feature delivers the ability to live stream current moments and receive feedback in real time too. It’s a highly interactive application that recruiters can maximise their communication efforts to connect with potential millennial candidates. Through live broadcasting sessions, recruiters can offer information on job offerings and training in a stress-free environment for the candidate. Periscope links with your twitter account so after broadcasting sessions, the stream will save and appear on your Twitter newsfeed. Social Strategy Tip: Before starting a live stream, notify candidates in advance. This gives so they are prepared and can tune in at the right time. Be sure to respond to comments otherwise candidates will feel disengaged. It may only be an imaged based platform, but recruiters would be wrong to write of Pinterest so quickly. A person's willingness to read a piece of content increases by 80% if there are coloured visuals, and this is where recruiters can leverage the platform to their advantage. Pinterest users spend more time on the social media platform than competing social channels, averaging 75 minutes per visitor. Coupled with its 150 million users worldwide it presents a great opportunity to connect with hard-to-find talent you may not easily reach elsewhere. Creating pin boards will attract your talent. Organise, save and share your pins to further your reach. To hire specific candidates, you will need to create as many boards as possible. Pinterest is still fairly green as only a few recruiters use the platform as part of their strategy. Getting on the social channel makes you one of few that is leveraging and attracting quality talent. Social Strategy Tip: Like Instagram, knowing when to pin will help recruiters reach and engage with candidates. 2pm-4pm and 8pm-11pm are seen as Pinterest prime times. Also remember, different topics peak on different days for example, technology typically peaks on Tuesdays. Compared to Youtube, Vimeo may seem a measly alternative for recruiters. However, considering its monthly unique users peak around 65 million (one tenth of Youtube), the video-sharing website presents opportunities for recruitment agencies to attract talent where other companies might be missing them. Vimeo deals with a more engaged audience and smaller community. In terms of recruiting, this means recruiters can use these niche communities to source more specialised candidates. Additionally, you can create a brand page on the social channel. Think about creating engaging videos about available job positions that will engage and attract specialised candidates to your agency. An important note, people appreciate well-made videos, good content goes a long way. Social Strategy Tip: Personalise your video’s to deliver even greater content. The more engaging they can be, the higher quality candidates you will attract. Recruitment and Snapchat, a match made in heaven? If your agency is not on Snapchat then we recommend including this as part of your social media recruitment strategy. The smartphone application is used by 187 million people each day and worldwide these so called ‘snappers’ watch 10 billion videos a day meaning there is a a highly engaged group of potential candidates ready for recruiters to attract. Unlike other social media channels, Snapchat users are overwhelmingly young people (45% are aged 18-24), so recruiters looking to fill graduate posts and apprenticeships, this millennial demographic is your new best friends. Snapchat’s is very much built for storytelling. By telling stories, recruiting agencies can focus on things potential candidates desire like the company values of their future employer. Once your agency builds a steady following, you can post vacancies in innovative ways to get your candidates attention. Exclusive content, filtered lenses, and employer takeovers are a few guidelines to creating great marketed job postings. Social Strategy Tip: Debut content on Snapchat. Offer early access to available job postings that candidates can access before it opens to the wider talent pool. So, to recap, LinkedIn, Facebook, and Twitter are our social media recruitment stars, but let’s not forget about their smaller social relations. Our social media strategy tips for recruitment are your stepping stones to building and expanding your social media presence. But remember, factors like candidate demographics mean not every social media platform will suit your social marketing strategy. With the right social presence you’ll gain effective and efficient results for your recruitment company. If you’re keen to learn more about social media recruiting, book a free online marketing assessment where we can review which social channels work best for your social recruiting strategy. Social media covered? Learn how to entice potential candidates and download our ebook on ‘Why Candidates Aren't Opening Your Emails’. Don't forget, social media is just one element of a successful marketing strategy for recruiters. To discover more, have a read of our Inbound Marketing for Recruitment Agencies page.